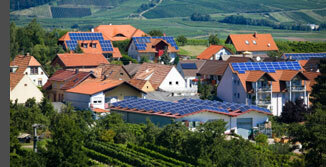 Solar Clean South West offer a Solar Panel Cleaning service. Dirty panels mean loss of power, which could be up to 25%. Solar Clean South West can remove bird Droppings, tree leaves and airborne dust particles. We use a pure water reach and wash cleaning system. We work from the ground, using nothing but water and leaving no detergent residues. Where access is restricted or at height we use mobile access equipment. We have full insurance and all staff are fully trained. This service is available to both residential and commercial customers. We offer free no obligation estimates, please call 0117 9674575 or email: enquiry@solarcleansouthwest.co.uk.